Do you have downloaded new videos from YouTube, dailymotion or other sites in FLV format? Are you looking to transfer the downloaded videos to the DVD? If yes then sorry it’s not possible to play those videos in the DVD because FLV format is not supports by the DVD players. If you want to store the downloaded videos in the DVD then without converting the videos it is totally impossible. So in this tutorial we are going to tell you about how to convert FLV to DVD video using the FLV to DVD video converter software. 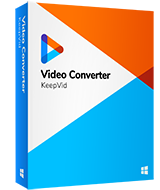 KeepVid Video Converter is professional DVD video converter software allows you to convert the FLV to DVD video format or any other format of your choice. 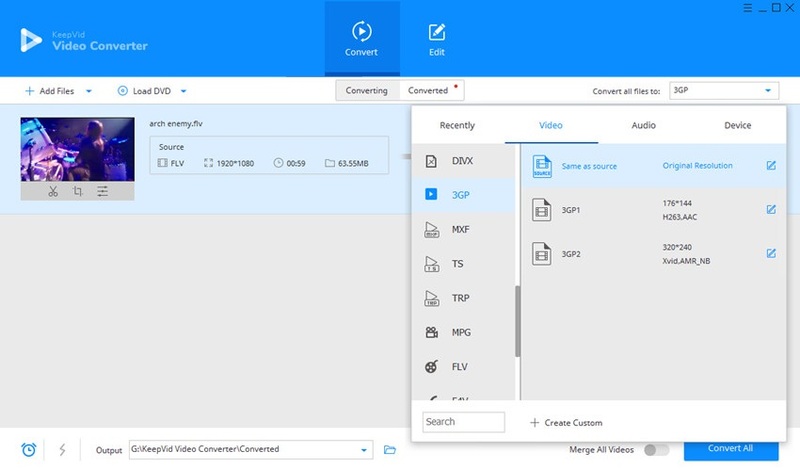 You can quickly finish your video conversion with this FLV to DVD video converter because it enables you to convert the files by 30X faster than any other converter program. It has excellent convert feature which helps you to convert the files in 1000+ formats. You can download any playing video from the web with KeepVid Video Converter. It enables you to record web videos, system screen and video calls of your friends and family. Download the videos by 3x faster speed from websites. Editing feature allows you to crop, trim and add special effects to your videos. Step 2. Select VOB as an output, and click the Convert button to start converting FLV to DVD Video. Download the program setup from website and install it on your computer. Launch software and click on “Add Files” button in the interface. Now browse the FLV from computer and click “Open” to add files for conversion. Head to the top right side and click on inverted triangle button in next to “Convert All Files To” and choose VOB from the list of format because VOB is the DVD video format. Click the “Convert All” button near to the bottom of screen to initiate conversion. It will be done in the very less time. •	To convert the multiple files together simply add multiple files before starting conversion. •	Upping the output format resolution can help you to get the high quality output. •	Allow some time to complete the conversion. It will finish depending on the input file size. KeepVid Online Converter is simply an online web video converter site to convert FLV to DVD video format or other multiple formats. This is very easy to use website and you just need to do 3 steps to use it. First you need to upload file then choose VOB format finally click “Convert Now”. Like this you can convert video and audio files to the 60 audio video formats. This is a free website and don’t need to do any registration to use it. Files Conversion is a free converter website which enables you to convert FLV to DVD video or more than 50 other formats. Including audio and video conversion this website also supports conversion of ebooks, documents, YouTube videos for free. This free website also works without any registration so you don’t need to do any registration for converting the different types of files with this website. 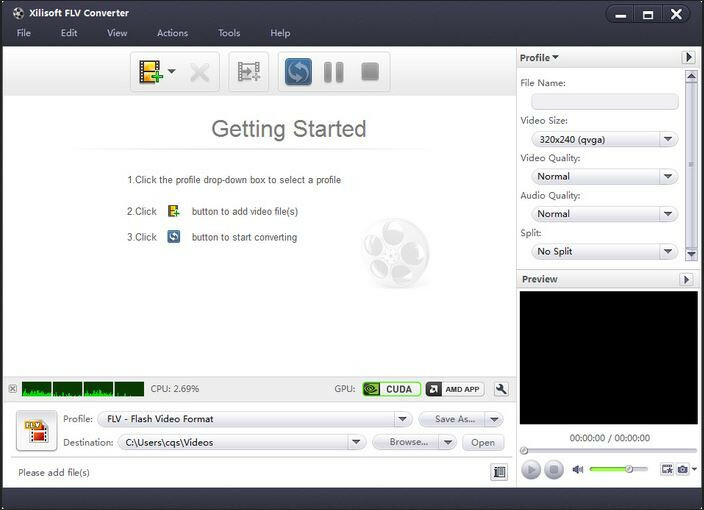 Clone2Go Free Video Converter is a freeware video converter software for windows OS. This program is excellent video converter software which gives you high quality output after conversion. It enables you to convert video files together in batch in many video and audio formats. There are multiple video formats supported by this converter but very less if we compare it to the KeepVid Video Converter. It converts video and audio to nearly all popular formats for free. Free video converter software with high quality output. Enables you to download the videos of YouTube and save them in different formats. WinX DVD Author is another professional FLV to DVD video converter software. WinX DVD Author program is developed for the windows OS only and enables you to convert FLV to DVD Video format to enjoy your video on DVD player with your friends and family. You can customize your videos with this software by doing experiments on your videos. This is freeware program but only trial version is there for free without many limitations. Convert the videos in DVD video format in the few minutes. You can add background music, DVD menu pictures and watermarks to the videos. Supports many other formats such as MP4, AVI, MPEG etc. It also enables you to burn videos to the DVD.